The Barracuda Championship, previously the Reno-Tahoe Open, tees off today at Montreux Golf & Country Club, an award-winning Jack Nicklaus Signature Golf Course in Reno, Nevada. The 16th annual event has become a popular staple on the calendar, as it is the PGA TOUR’s only tournament to use the Modified Stableford scoring system. The Barracuda Championship will be televised on the Golf Channel today and Friday from 3:30 to 6:00 p.m. ET; on Saturday from 3:30 to 6:30 p.m. ET; and on Sunday from 4:00 to 6:30 p.m. ET. The Barracuda becomes the fifth professional or significant amateur event over a three-week period being hosted on a Nicklaus Design course. Last week, events on the Web.com Tour (Midwest Classic at the Nicklaus Golf Club at LionsGate outside Kansas City) and European Tour (M2M Russian Open at Tseleevo Golf & Polo Club outside Moscow) were hosted on Nicklaus courses, as well as the U.S. Junior Amateur Championship at The Club at Carlton Woods in The Woodlands, Texas. Next week, the PGA Championship will be played at the Golden Bear’s nationally ranked design at Valhalla Golf Club in Louisville, Kentucky. The Montreux event, with a 132-man field and worth 300 FedEx Cup points, allows those not taking part in this week’s limited-field WGC-Bridgestone Invitational a chance to gain ground in the race for the FedEx Cup playoffs. The event at Montreux encourages aggressive play by awarding positive points for birdie or better (8 for double eagle, 5 for eagle, 2 for birdie) and subtracting points for bogey (minus-1) or worse (minus-3). Signed to a four-year title sponsorship in July, Barracuda provides cloud-connected security and storage solutions that simplify IT. The title-sponsorship news was just the latest in a run of positive changes to the tournament. Impressive commitments to this week’s field include no fewer than eight past major-championship winners. Some of the top names: Robert Allenby, Aaron Baddeley, Rich Beem, John Daly, David Duval, Lucas Glover, Retief Goosen, Padraig Harrington, Trevor Immelman, Lee Janzen, Davis Love III, Geoff Ogilvy, Nick Watney, and Mike Weir. Also in the field is rising star Patrick Rodgers, the former Stanford standout who turned professional in June within days of receiving the 2014 Jack Nicklaus Award winner as the Division I Player of the Year. The Nicklaus Award recognizes the top players at the Division I, II, III, NAIA and NJCAA levels. A junior from Avon, Ind., Rodgers had six collegiate victories in 2013–14 and tied Tiger Woods’ all-time Stanford record for career wins (11). A three-time PING First-Team All-America selection, Rodgers boasted nine top-10 finishes this season. He also won the Ben Hogan Award and was named Pac-12 Player of the Year. Rodgers led Stanford to the NCAA semifinals, posting a 2-0 record in match play. He is Stanford’s first Nicklaus Award recipient since Tiger Woods in 1996. Last year’s winner at Montreux, Gary Woodland, tallied 44 points over four rounds to win his share of the $3 million purse. Woodland made history at the 2014 Masters by tying the all-time first round record by shooting 30 at Augusta. Beginning next year, the Barracuda Championship will incorporate a unique charity element on the reachable, downhill par-5 18th hole. The Barracuda Bonus will be a competition within the competition, with players accumulating points on No. 18 throughout the week. The player with the most points on the closing hole will receive a bonus to donate to the charity of his choice. Moreover, an additional charity bonus will be awarded to any player who makes double-eagle 2 on the hole. There has been one double-eagle made on the hole since the tournament’s inception in 1999. That came in 2010 from Shiv Kapur of India, when the hole was playing as the ninth hole. Since, the nines have been reversed to align with the way the Golden Bear designed the golf course. 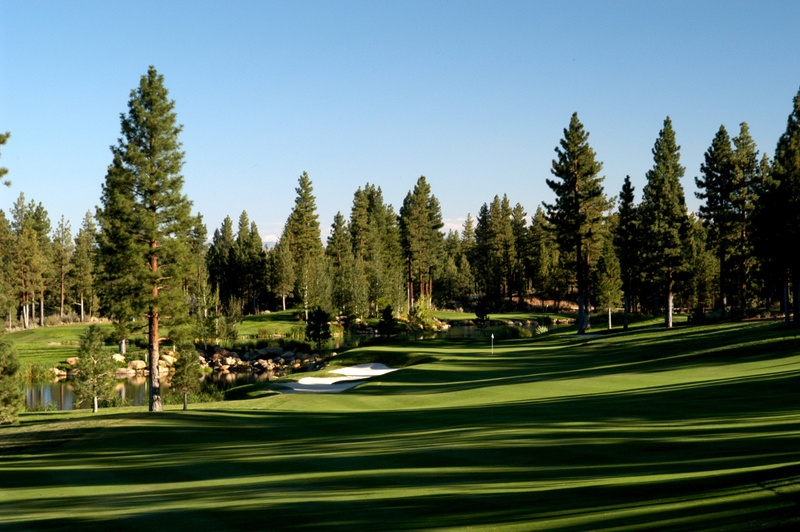 For more information on the one-of-a-kind PGA TOUR event, visit renotahoeopen.com.